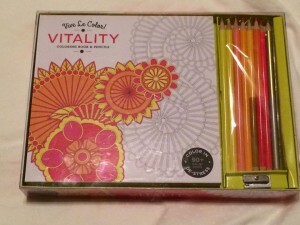 5 STAR Amazon Ranking Celebration GIVEAWAY… WIN Summer Fun! We’re celebrating WAITING FOR YOUR LOVE’s 5 STAR Amazon Ranking with another giveaway! 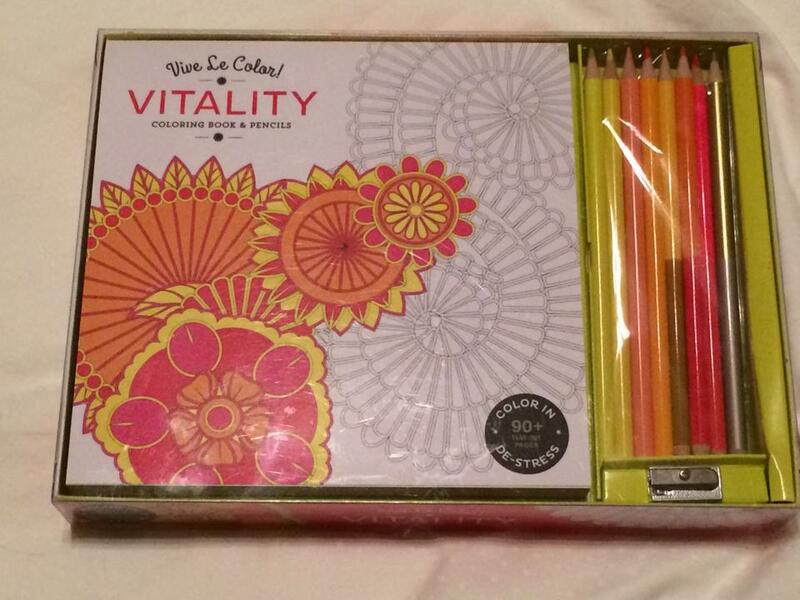 Who wants to WIN this Summer-Themed Coloring Set (isn’t it ADORABLE!) and a digital copy of WAITING FOR YOUR LOVE? Even in my novellas, character is everything for me. I sweat all the details, work my tail off with my editor to pick and choose just the right characteristics and actions and motivation and reactions will showcase the two leads and as many secondary characters as I can pack into the story ;o) Pacing and plot zoom you through what you’re reading. But in my books it’s always the characters you remember most, long after your done. To be in the giveaway, comment about your favorite character(s) in the story you know will stay with you forever! You can also leave a comment on my Facebook Page Giveaway Post for a second chance to win! Winner announced tomorrow, when I post the next release giveaway. So how did Clair Summerville get herself into such a mess—pretend dating Conrad Lancaster of all people at her family reunion? Clair can’t lose their life-long friendship. She and Conrad have always been there for each other, no matter how complicated their separate worlds have gotten. Now they’re playing with fire. And one of her best girlfriends, Bethany Darling (from His Darling Bride), is fanning the flames. Of course kissing and cuddling like lovers in front of Claire’s nosy, controlling family leads to suspiciously “real” couple behavior in private. But no way can she reveal her true feelings for Conrad. Not with her survival instincts clamoring at DEFCON 1. Clair’s desperate to cut and run, the way she has with every other guy she’s come close to trusting with her heart. Except this is Conrad. She’s been secretly in love with him and his little boy, Harper, for years. And this is Chandlerville, Georgia, where neighbors have a pesky habit of pitching in—whether you ask them to or not—to make dreams come true. Especially the dreams you want so badly, they shake you to your core. Looks like these made-for-each-other loners have everything they need to win their long-overdue happily ever after… If only they’d risk their tender hearts one more time. Or will Clair and Conrad lose their last chance to fight for each other’s love? 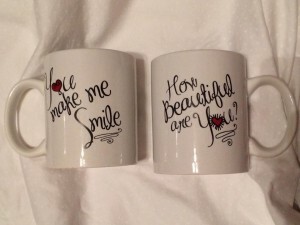 RELEASE Celebration Giveaways: ADORABLE Mugs Up for Grabs! Who wants to WIN this ADORABLE set of mugs? I hope WAITING FOR YOUR LOVE becomes your FAVORITE friends-to-Lovers romance. I know it is mine! For your chance to win Clair and Conrad’s story, leave a comment in THIS POST, or on my FACEBOOK PAGE Giveaway Post, about a favorite friends-to-lovers story you experiences or watched blossom. Winner announced tomorrow, when I post the next release giveaway! WIN the Entire ECHOES OF THE HEART Series! We’re celebrating Monday’s WAITING FOR YOUR LOVE release early with a FOUR-BOOK GIVEAWAY WIN the entire Echoes of the Heart Series to date! 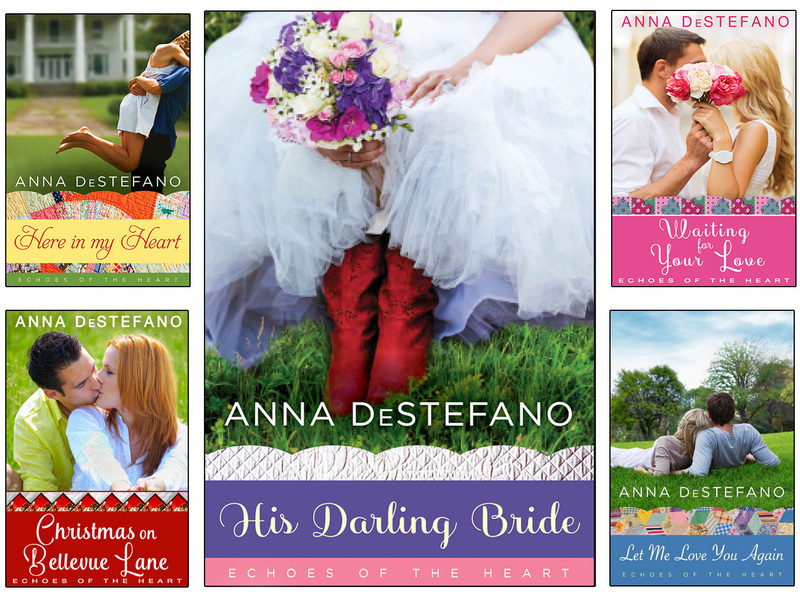 To win DIGITAL copies of Here in My Heart, Let Me Love You Again, and Christmas on Bellevue Lane…and a PRINT copy of His Darling Bride–comment with the name of your FAVORITE novel series and let us know why it’s so special to you. Winner announced on WAITING FOR YOUR LOVE’s release day: Monday, June 6th. All you have to do is comment to be eligible! SO, bets of both worlds time! 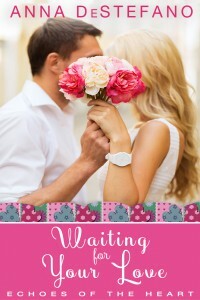 EVERY GIVEAWAY for WAITING FOR YOUR LOVE’s release (my new Echoes of the Heart novella launches next Tuesday, June 6th!) 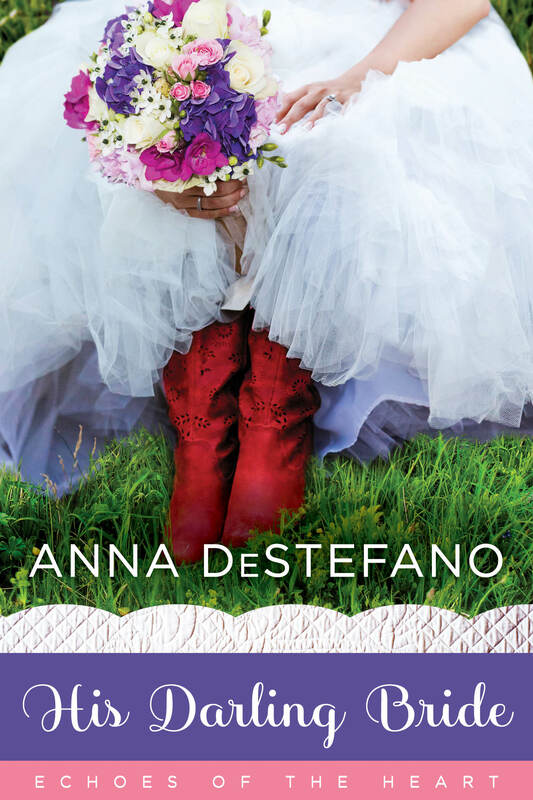 will have a blog post here, where you can comment for your chance to WIN (and for a second chance, if you also participate on my Anna DeStefano: Author Facebook Page. Up first: a $10 Amazon Gift Card giveaway for all who PRE-ORDER WAITING FOR YOUR LOVE between now and midnight, June 5th! To be eligible in the blog, leave a comment IN THIS POST with her Amazon Order Confirmation Number on or before midnight June 5th. 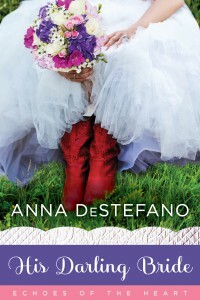 You can also comment on my DeStefano: Author Facebook Page post, for an extra chance to win. Winner randomly chosen on release day from all commenters on both sites! His Darling Bride Release Party is LIVE. WIN a $10 Amazon Gift Card! First Giveaway–a $10 Amazon Gift Card goes to one lucky guest when we reach 250 readers attending! Click the link. Join us today. You don’t want to miss your chance. Bethany Darling doesn’t kiss men at first sight…until she falls into the arms of a handsome cowboy bartender. A mysterious stranger, Mike helps scare off Bethany’s obnoxious ex-boyfriend. Mike’s touch feels like coming home. But Bethany’s sonot interested. Between stalled-out dreams of becoming a painter, troubles reconnecting with her sprawling foster family, and the happy chaos of her sister’s upcoming wedding, Bethany’s already in over her head. But each time she and Mike stumble across each other in small-town Chandlerville…sparks fly. A famous photographer hiding under a Stetson, Mike Taylor recognizes Bethany as a kindred artistic spirit. Together they rekindle her passion for painting—and she inspires him in unexpected, undeniable ways. Then when Mike’s own past threatens to tear apart his present, Bethany becomes his safe place to turn. Can these two wandering souls finally trust their hearts? Or will they run from the forever love they never expected to find? 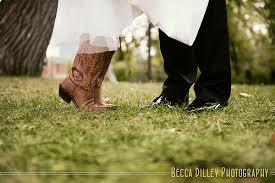 Love Spring Weddings? And “relationships of convenience” that bloom into beautiful romances? And Heartwarming, community-basedfamily stories you can’t put down and don’t ever want to end? His Darling Bride’s spring release (on April 26th) is for you! 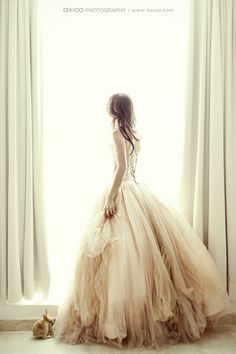 And you just HAVE TO JOIN US at our new His Darling Bride Pinterest Board.